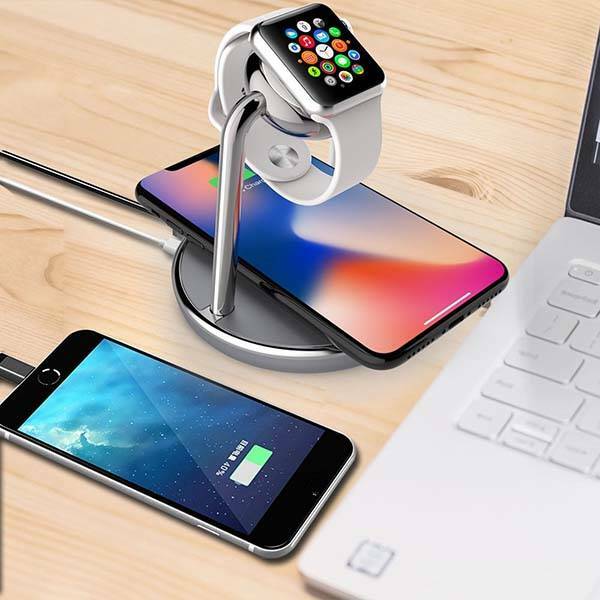 With integrated wireless charging pad and USB port, the Mangotek Apple Watch stand acts as a powerful charging station for more mobile devices. Like the idea? Let’s have a look. 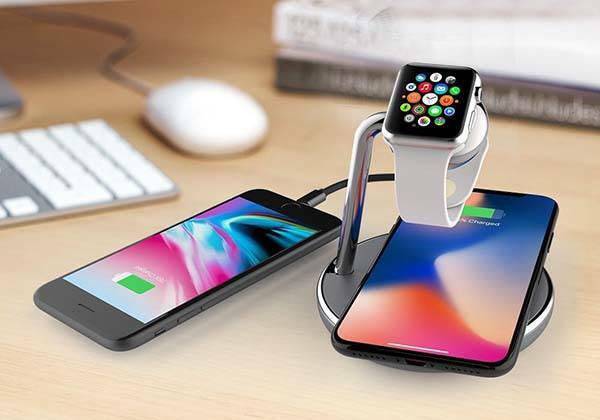 This is a beautifully designed and versatile MFi certified Apple Watch charging stand that measures 3.9 x 3.9 x 2.9 inches and weighs 1.51 ounces. As we can see from the images, the dock shows off a smooth and elegant appearance design, and the glossy metallic exterior delivers contemporary aesthetic style that matches well with your Apple Watch and other mobile devices. Meanwhile, the compact rounded form factor allows it to decently stay on your desk or nightstand. The Apple Watch stand comes equipped with an integrated Apple Watch charging connector, so you can conveniently charge the smartwatch without needing the overlong official magnetic charging cable. Furthermore, the charging stand also features a built-in wireless charging pad that features up on 10W output in order to quickly charge those Qi-enabled mobile devices like iPhone X, iPhone 8/8 Plus, Galaxy Note 8 and more. Moreover, an extra USB port has been ready to charge more devices, and temperature control, overcurrent protection and overvoltage protection ensure safe charging for your devices. In addition, non-slip pad keeps the stand stably standing on any flat surface. The Apple Watch Stand with wireless charging pad is priced at $42.99 USD. If you’re interested, jump to the product page for its more details.